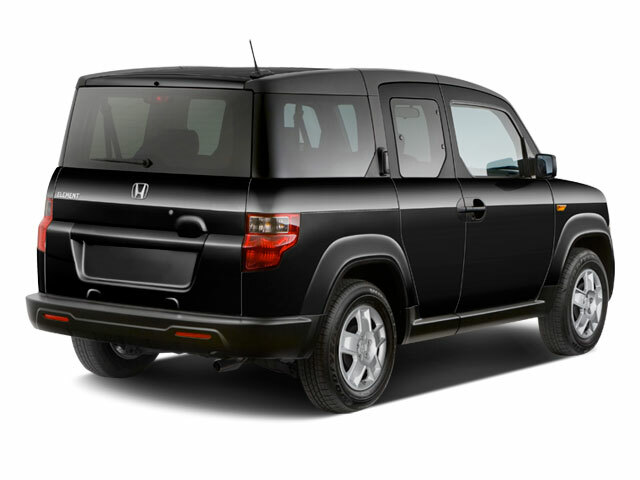 Honda drops the Element SC model for 2011. Royal Blue Pearl paint is no longer available; neither is the factory navigation. 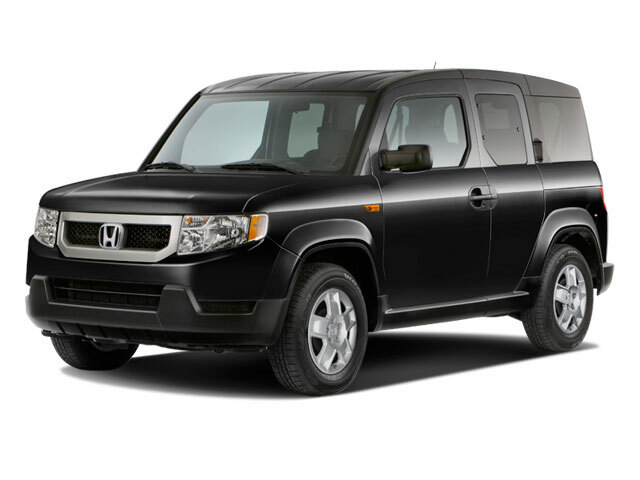 The Honda Element gets a lot of utility out of a vehicle that's quite compact and easy to park with a van-like body, an extremely versatile interior and rear-hinged back doors that allow wide loading access. Inside, a black urethane utility floor cleans up easily and the seat upholstery is moisture-resistant, making the Element a good choice for those with pets, babies or messy cargo. There's seating for up to four people and the back seats flip up easily for larger cargo, or they can be removed completely. All Elements have multiple beverage holders, cargo hooks for strapping down larger items like bikes and spacious door pockets on all four doors. The Element is available in two versions: base LX and luxurious EX. All Elements are available with either front-wheel or all-wheel drive but with only one transmission--a 5-speed automatic. All Elements are powered by a 2.4L i-VTEC 4-cylinder that produces 166 horsepower and 160 pound-feet of torque. An available real-time all-wheel drive system brings more traction for driving on snow or sand. When wheels slip, the system can send up to 70 percent of engine power to the rear wheels as needed. The interior capacity maxes out at a capacious 75 cubic feet, depending on the configuration. The cargo bay features a washable rubber floor, which can be removed, attached to screw-on legs and turned into a picnic table. A strut-based chassis up front and double-wishbone suspension in the rear give the Element its confident driving experience. All Elements have standard Vehicle Stability Assist (VSA), anti-lock brakes with brake assist, front seat-mounted side air bags and side curtain air bags with a rollover sensor system. Full-power features, remote entry and a 4-speaker sound system with CD player are standard on all trims. The EX adds an MP3 jack, satellite radio, steering wheel-mounted audio controls, a USB interface available and a 270-watt stereo system with seven speakers and a front center-mounted 6.5-inch subwoofer. Options for the EX also include a bundled rearview camera and voice-activated navigation system that can also play MP3 files via a flash-card slot and iPod jack. Bluetooth is available for all trims and an optional navigation system is available for the EX. Options for all trims are largely activity-focused. For instance, cargo organizers, a tailgate seatback and attachments for kayaks, bikes, snowboards or skis are optional. A so-called "Dog Friendly Package" is available on EX models, a pet accommodation system that includes a soft-sided kennel in the cargo area, special dog-print patterned seat covers and floor mats, a pet bed and a special stowable ramp to allow old dogs ease of ingress and egress. 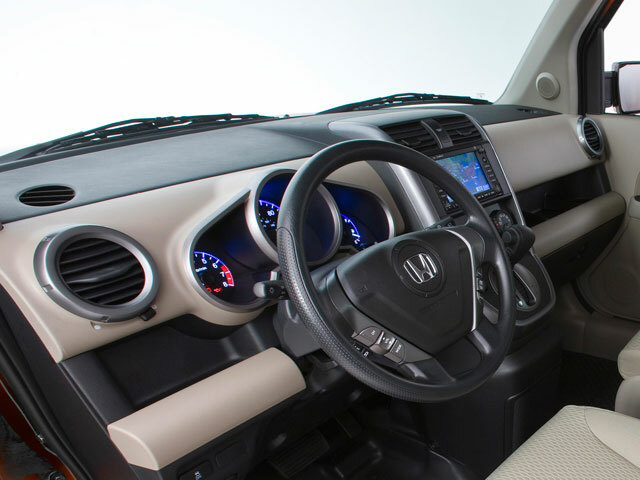 Based on the CR-V platform, the versatile 2010 Honda Element is well-suited for people who carry gear for outdoor activities as well as dog-owners. 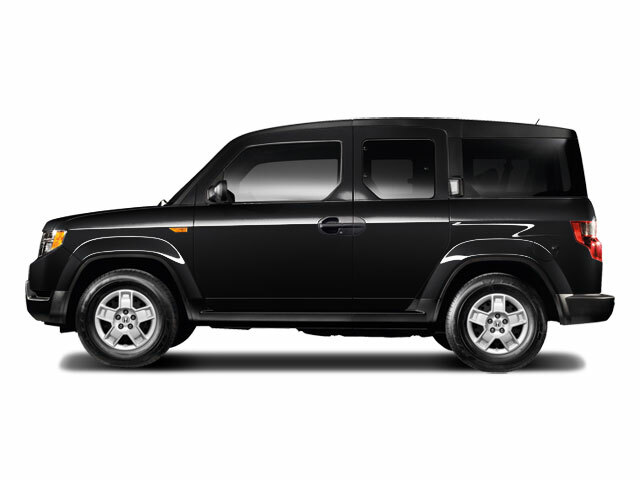 Its compact overall dimensions, good maneuverability and tall driving position make it a great urban vehicle. With plenty of standard safety equipment and a low base price, the Element makes a good value proposition.